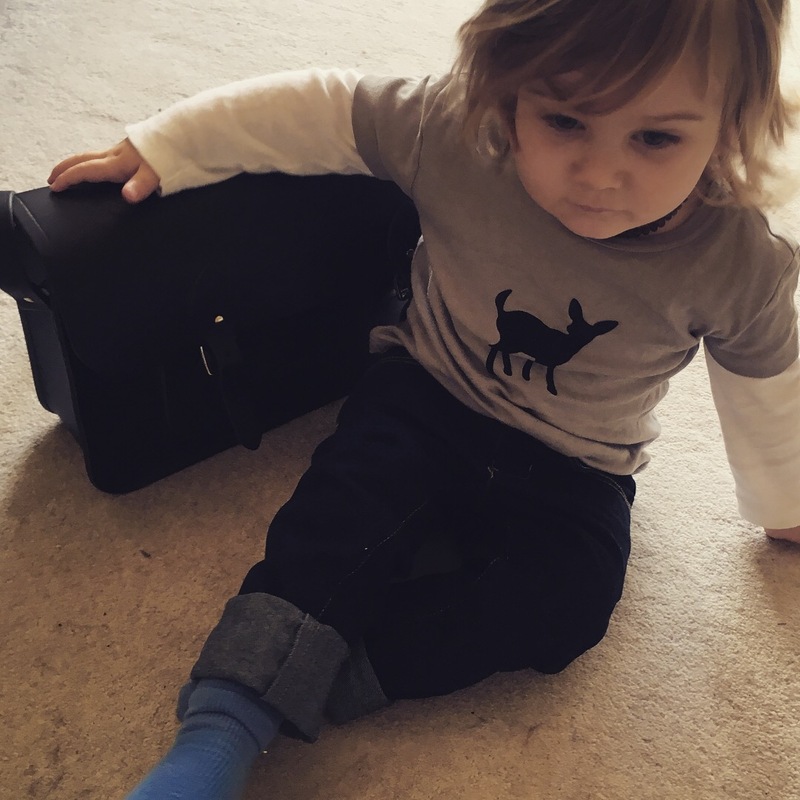 Sonny Jim is only a few months away from turning two – and my changing bag is even closer to reaching that milestone. I bought it when my due date was looming and I had no idea of what I would actually need in a changing bag, but I liked the fact it didn’t look too mumsy, was leather and it had decent straps. And in fairness, my Mothercare number has more than delivered. It’s seen me through the newborn days, epic walks with a tiny tot who would only sleep in the buggy. Trips to the beach. Picnics. Our first family holiday. Leaking bottles. Forgotten bananas. Poonami nappies. It’s only now that the inside sections have ripped that I’m kind of over it. And I didn’t really want to go buying another “changing” bag, when the amount of gear I need to cart around for Sonny Jim isn’t really in the newborn baby league anymore. Especially now he’s got his own (super cute bumblebee !) rucksack/reins for his snacks. So, I needed a new bag. A less mummy, more me bag. But that would still be able to fit a few nappies, a beaker, an emergency toddler vest/trousers in. It needed to be practical. But stylish. And good quality. Something classic. But not boring. And a decent size. I went for the 15″ satchel, in black. The graphic on the website promised I’d be able to fit in plenty (banana, umbrella, laptop, phone, glasses, flask, diary, purse and more!) So it would surely be the bag to transition this mummy from changing bag to clutch? And so far. So good! There are no pouches inside the satchel, so you need a bit of organisation in there. But in this I have three nappies, half a pack of baby wipes, a pair of toddler leggings, a toddler vest and socks, my purse, two (small) soft toys, my make-up bag, a toddler snack bar, my diary, my phone, two sanitary towels. Oh and a beaker. I mean, what MORE do you need in life?! It only has the long strap, but the hooks on either side are a decent size, so I’ve kept my changing bag’s clip-on pram handles and simply add them to it when out with the buggy – and oddly enough it’s the perfect size to have on the back of the stroller in this way. 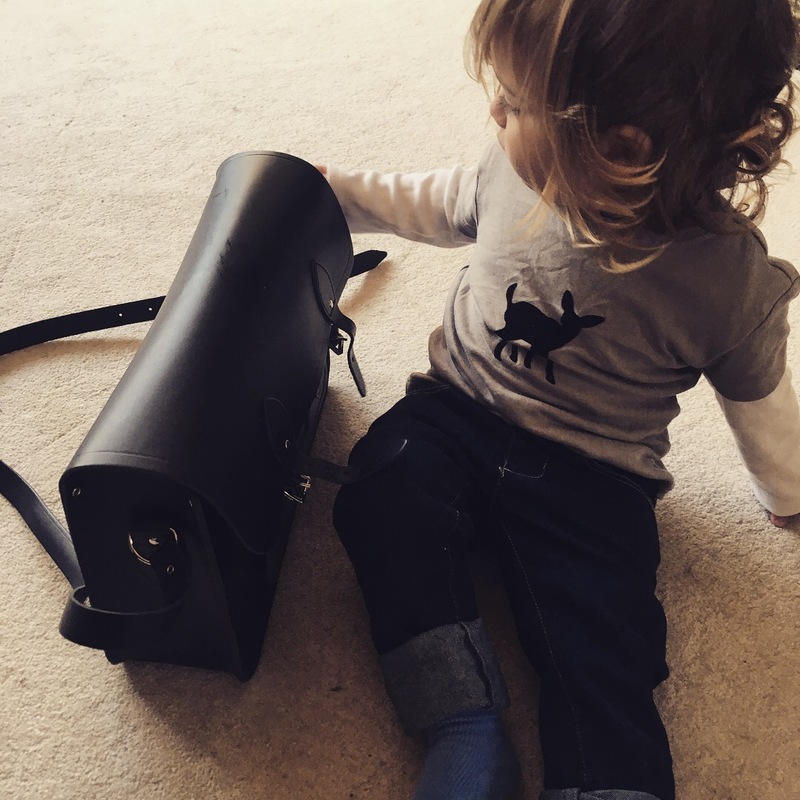 This satchel will be able to – in theory – take me effortlessly from mummy days to grown-up evenings. From playdates to meetings. The leather is pretty stiff in its brand new state, but I’m looking forward to it softening with its many outings. The only problem I can foresee is that I think I want in red as well. And maybe Cambridge blue. Disclaimer: I was gifted this bag to review. I have not been paid to write this review.